air joe is proud to serve the Carol Stream community! We are proud to be a part of this community, serving your heating and air conditioning needs: air joe is listed in many directories under titles such as : Carol Stream Heating Contractors, Carol Stream Heating, Carol Stream Air Conditioning, Heating Repair, Air Conditioning Repair, Carol Stream Heating and Cooling Contractors, Rooftop HVAC Repair, Ductless AC Systems, Boiler Repair and Carol Stream Heating and Air Conditioning Contractors. We are here for you whether you need furnace or air conditioner repairs, heating and cooling estimates, equipment replacement or new installation of a furnace, air conditioner, heat pump, rooftop heating and cooling or comfort products to improve the air filtration for your home or business. About Carol Stream, IL - Happy to be your hometown Heating & Air Conditioning Contractor! 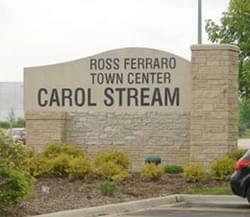 The Village of Carol Stream is located in DuPage County, Illinois, just thirty miles west of metropolitan Chicago. Founded in 1959 by local developer Jay Stream, Carol Stream is presently home to a population of approximately 40,000 residents who enjoy the beautiful seasonal climate that produces hot humid summers, cold snowy winters, and wonderfully mild weather during autumn and spring. Voted among Money Magazine’s “Top 100 Cities to Live” for 2011, the award-winning Village of Carol Stream features excellent schools, a strong industrial and commercial based economy, and numerous community amenities that include thirty-eight neighborhood parks, the Coral Cove Water Park, and Simkus Recreation Center, as well as access to the DuPage County Great Western Trail recreational trail system. Carol Stream’s friendly citizens, strong economy, and outstanding community amenities make it one of the best places to live or visit in northeastern Illinois!